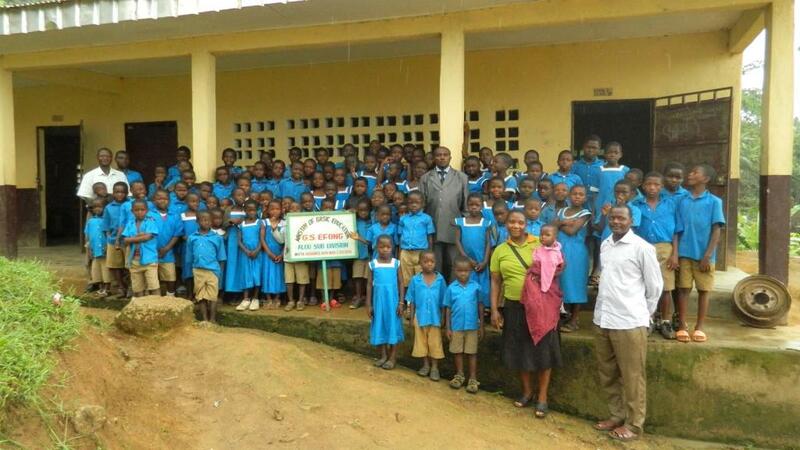 Pupils: 231 total, 135 boys, 96 girls. The story of G.S. Efong is one of transformation and opportunity. Prior to the construction of the new school, the barriers to education were insurmountable. The old school was decaying; textbooks were expensive; uniforms were non-existent. Most families had difficulty generating enough income to pay school fees. For those that did attend school, many dropped out or failed to continue their education post primary school. 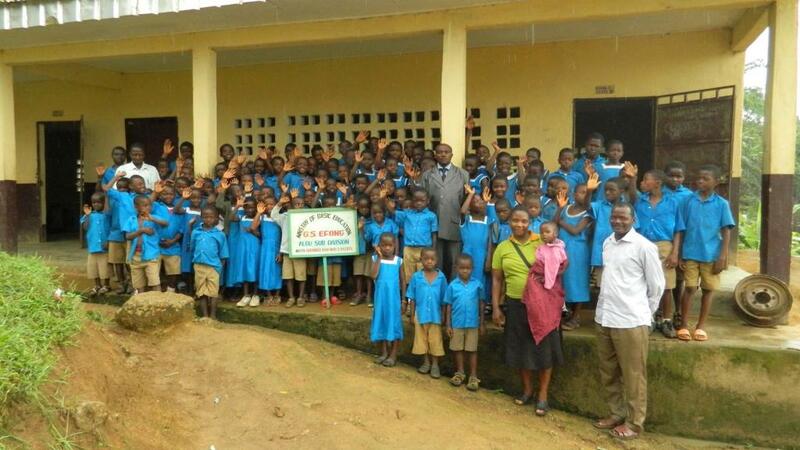 As of six years ago, only 70% of pupils continued their studies at the secondary school in nearby Lewoh. 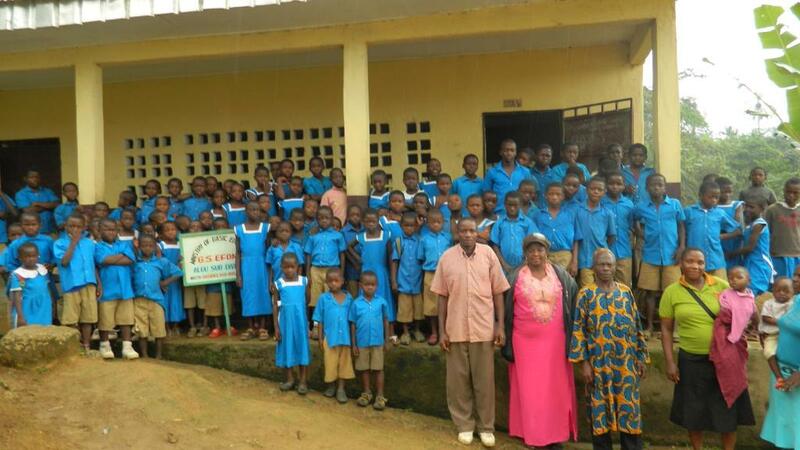 Needless to say, the state of education in the community of Efong was one of desperation. ICA is proud to say that the construction of the new school, along with the provision of school supplies and uniforms, has reversed these trends. As one parent states “poverty was the major barrier [to education] but now with the building, books and uniforms it is no longer a factor”. The parents can send their children to school without having to worry about the financial commitment that it used to entail. The community of Efong has always believed that education was important, but they simply had few resources to commit to the cause. Now that the children have access and opportunity, their dream of education is becoming a reality. The local population describes it as “abnormal” when a child does not go to school. The graduation rate is now 100% and every graduate continues their studies at secondary school. The new solar lights also make a positive difference. 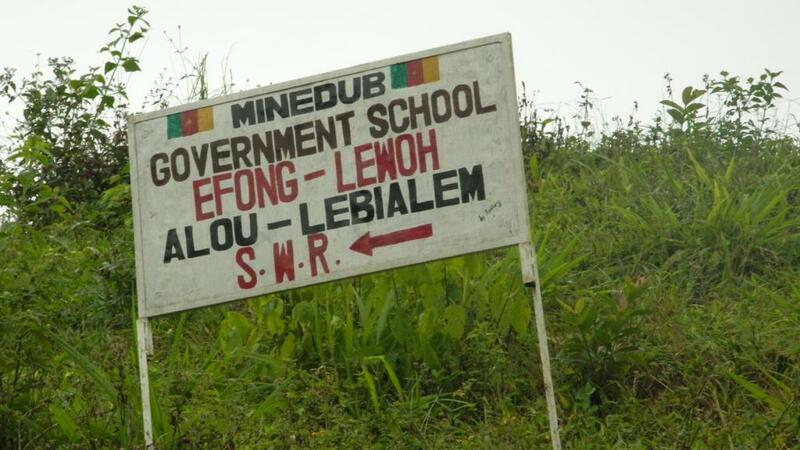 Even some of the local secondary students, which attend school in Lewoh, use G.S. Efong as a study venue after hours. In 2015, ICA delivered to the school administration a number of teaching aids, such as pictures, charts and maps. The teachers no longer have difficulty describing a subject because they do not have the proper tools. Although the situation at G.S. Efong has improved drastically, there are still numerous areas for improvement. First, there are only four teachers for six grades. Combining classes is therefore a necessity. An extra teacher would make a world of difference. Second, there is no ICT equipment. The students take computer science but are unable to practically apply any of the concepts. Many of the children have never even seen a computer despite the village being connected to the electrical grid. In addition, the parents mention a need for water. The water source of the school is quite far. Finally, the issue of poverty is ongoing. Uniforms, textbooks and other materials will soon need to be replaced.